Sea urchin fertilisation. 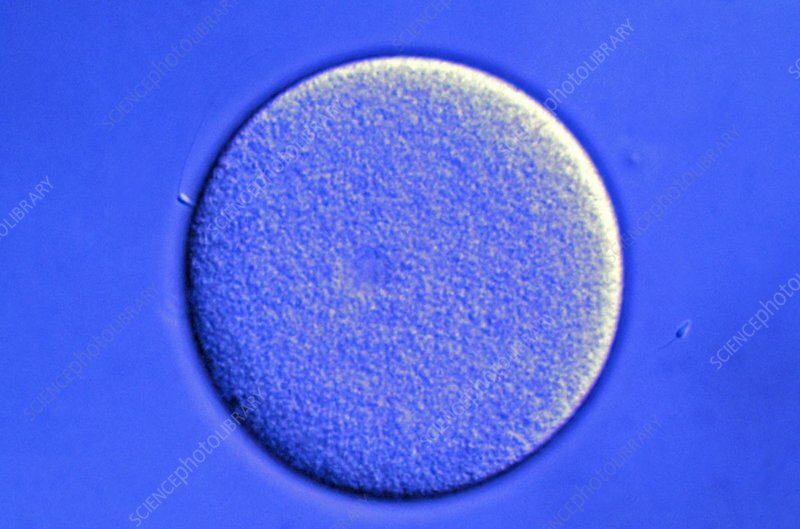 Differential interference contrast light micrograph of a sea urchin (Paracentrotus lividus) sperm cell (spermatozoon, small, left) in contact with the zona pellucida (outer membrane) of an egg cell (ovum) prior to entering and fertilising the ovum. Magnification: x220 when printed at 10 centimetres wide.